Beslutningen vedr. Adelphi's destilleri er blevet udskudt til 17 April, da the Highland Council vil have et besøg 'on site' inden de giver deres svar... Hurra for bureaukratiet! Men al held og lykke herfra til Alex of Co.!! BigMac wrote: Hurra for bureaukratiet! Jeg kender intet til den konkrete sag, men de Skotske (og i øvrigt også de Australske) myndigheder er meget beskyttende overfor deres unikke natur. Måske kan de være en af årsagerne? With competition heating up in Irish whiskey"”one of the global spirits market's hottest categories"”William Grant & Sons is making a major play to ramp up and gain greater control of production for its Tullamore Dew brand. The company is set to invest €35 million ($47m) in a new distillery for Tullamore Dew, the second-leading Irish whiskey in the world after Pernod Ricard's Jameson. 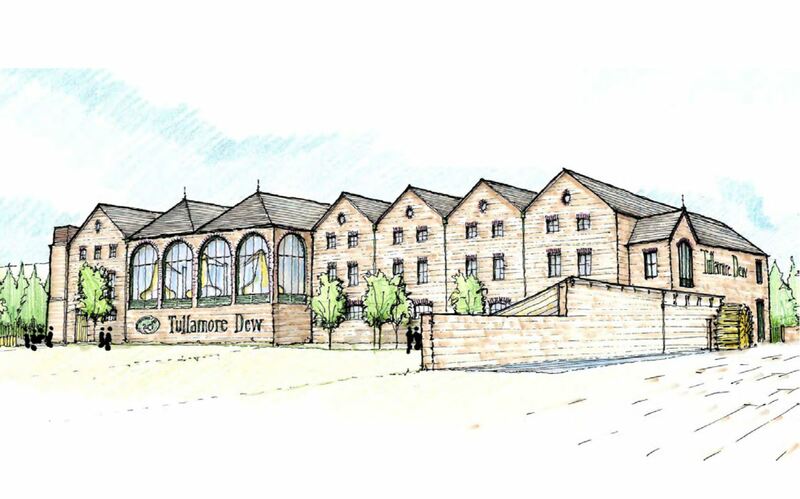 The state-of-the-art pot still and malt whiskey distillery will be located on a 58-acre site on the outskirts of the town of Tullamore, where the original Tullamore Dew distillery closed in 1954. William Grant & Sons, which currently contracts Tullamore Dew's production out to Pernod's Irish Distillers unit, said the investment would meet long-term production demands for the brand. William Grant acquired Tullamore Dew from C&C Group in 2010. The brand's global sales have been growing at around 15% annually, reaching just under 700,000 cases in 2011"”nearly double the volume it sold in 2005. Tullamore Dew is projected to reach 1 million cases globally within the next three years. In the U.S., by far the world's largest Irish whiskey market, Tullamore Dew sells over 70,000 cases and has shown steady growth. 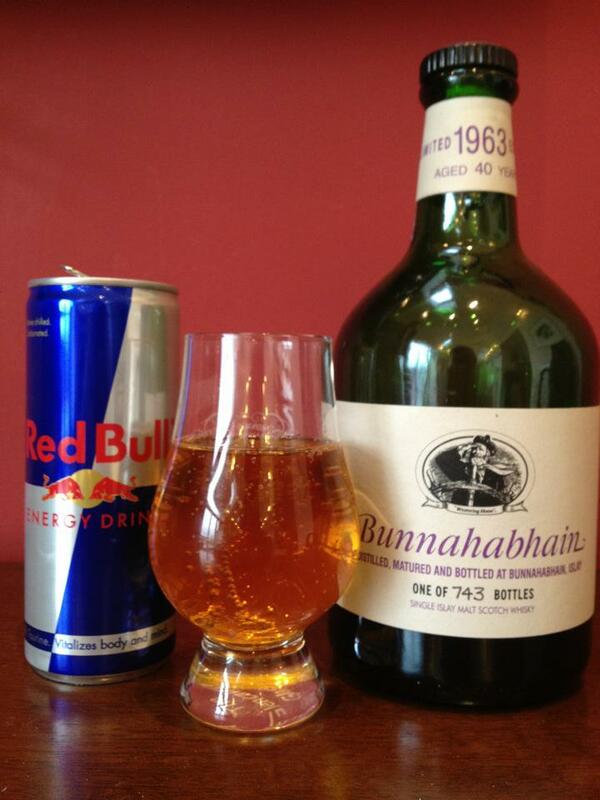 It ranks third among Irish whiskies behind Jameson and Diageo's Bushmills. (The U.S. accounts for around 30% of global Irish whiskey sales, and both Jameson and Bushmills do 30%-35% of their business in the United States.) Given that Irish whiskey's annual growth rate in the U.S. market is now at around 20%, Tullamore Dew appears to have plenty of upside. William Grant & Sons recently unveiled a new TV and print campaign for the brand under the tagline "Irish True,"
Laphroaig Triple Wood forsvinder nu fra duty-free handelen og bliver en del af det normale detail-sortiment. Whiskyfun.com er netop blevet hacket af "The Anonymous International Temperance Revival Vigilantes"
Denne er nog ingen spøg. Postet selv om den på G+ tidligere i uken . 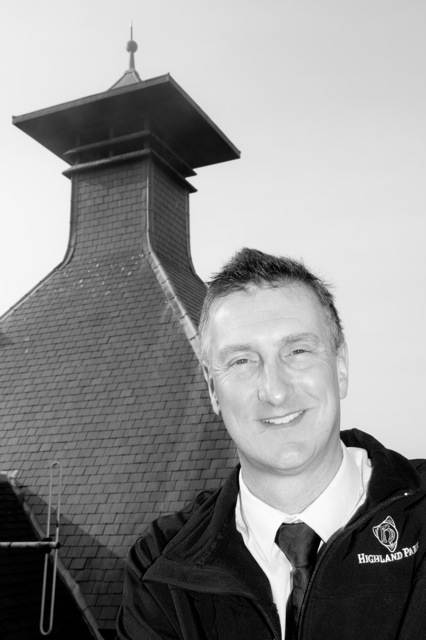 Long serving Highland Park distillery manager Russell Anderson, is set to take the reins at The Macallan, after a total of 15 years in Orkney. After two stints at the home of the Best Spirit in the World, Russell has handed the role of manager over to Graham Manson, a former engineering manager at North British Distillery. Russell Anderson makes a return to Speyside, where he previously worked as production manager from 1998 until 2000, to work alongside the production and warehousing teams as The Macallan looks to maximise the opportunities presented by the growth of single malt whisky around the world. Graham Manson brings over 25 years of experience in the Scotch Whisky industry within the specific areas of engineering and production, working for Bell's, Diageo and latterly North British Distillery, where he was engineering manager from 1997 until joining The Edrington Group. Commenting on his new role, Graham said, "Having worked for North British for the past 15 years, I was seeking a fresh challenge where I could put all my skills into practice whilst genuinely making my mark on a business. The Highland Park role presented the perfect combination for me." The yearly Islay festival Feis Ile 2012 is coming up (26th of May until 2nd of June). Here are some of the things worth looking out for. Kilchoman will release a Feis Ile bottling at 4 years of age, 100% Islay produced, matured in first fill bourbon and finished in oloroso sherry. Bowmore will release a limited 15 years old. Only 750 bottles. There's also a commerorative Bowmore 1985, only 200 bottles. Ardbeg is celebrating 2nd June 2012 as the first global Ardbeg Day. 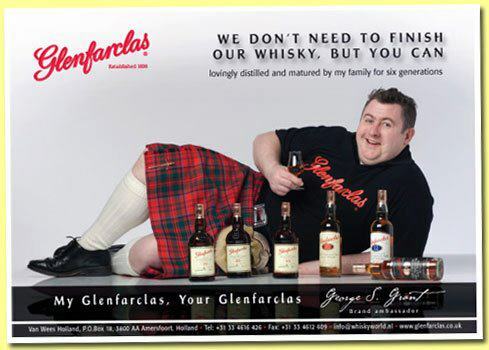 People can take part in the "Islay-limpics"
Scotch, Bourbon & Rye. Lyder spændende. Loch Lomond 1966/2011 (40%, OB, 1640 bottles) Four stars Colour: straw. Nose: as unusual as I remember. A kind of funny mixture of stewed apples with a little almond oil and something a little metallic that hints at Irish pot still. Then much more hay, gasoline, old books and then the fruits are back, rather more on greengages. The little problem is that it never stops becoming more cardboardy after a few minutes. Overripe apples. Mouth: sweet and light, sappy, oily"¦ It's extremely drinkable in truth, very easy, with more tropical fruits (papayas) and a few very soft spices. Cinnamon cake? Sadly, it becomes a little weak and the middle lacks body, although it remains pleasant. Finish: shortish but clean. Passion fruits and papayas with a little grated ginger and coconut. Comments: very quaffable, between grain and malt, and very cheap (approx 150€ if I'm not mistaken). What's very pleasant is the very discreet oakiness, we've seen many oldies that were much, much oakier. SGP:531 - 85 points. Jenny Karlsson holder flyttedag fra Springbank til Wemyss Malts ved udgangen af Maj måned. Nu spørger jeg nok dumt, men går ikke ud fra at en OB'er i denne verden er en fra Odense, så kunne en lige indvie mig i dette?? OB = Original Bottling, det vil sige en destilleri aftapning eller det modsatte af en IB - "Independient Bottling"
Der er nogen der mener det betyder "Own Bottling" eller "Official Bottling"